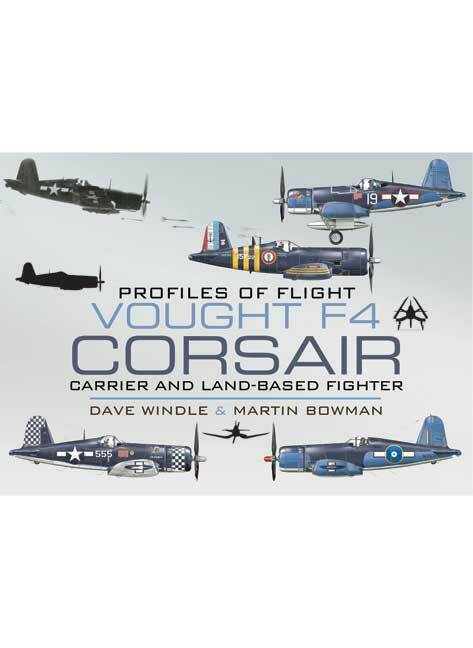 You'll be £15.99 closer to your next £10.00 credit when you purchase Profiles of Flight - Vought F4 Corsair. What's this? Order within the next 2 hours, 51 minutes to get your order processed the next working day! The Vought F4U was the best carrier based fighter of WW2. 12,571 aircraft were built and downed 2,140 enemy aircraft for the loss of only 189 Corsairs. It was developed early in 1938 for the US Navy. The designer, Tex Beisel, worked on the principle of the largest engine in the smallest airframe. Britain received 2012 of the type. This book contains the world famous colour profiles created by Dave Windle of the type in different operational modes, configurations and colour schemes. Martin Bowman has written detailed descriptions and photographs to create the perfect enthusiasts reference. A useful and interesting book for Aircraft Modellers.Read the full Spanish review online here. Dave Windle has gained the reputation of being Britain’s most skilful creator of aircraft profiles. He draws upon his service with the RAF to maintain complete accuracy.